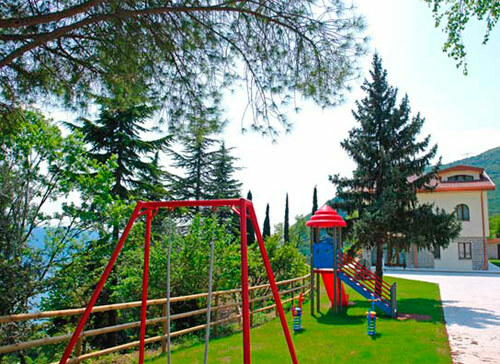 Villa San Valentino, private residence transformed in a particular Relais composed of 4 spacious apartments and 1 attic. It is a destination for those refined visitors, looking for authentic serenity. The apartments are all equipped with every comfort. 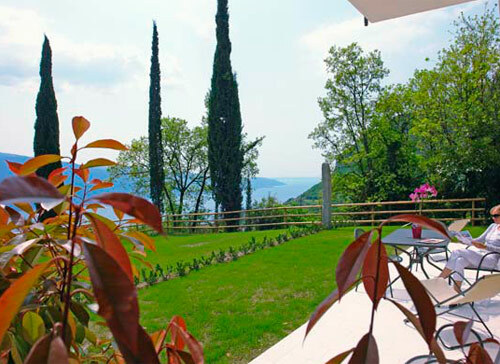 They all have a wonderful view on the Garda Lake and access to the park. Ample and comfortable 3 room apartments of about 65 mq and the attic about 100 mq. 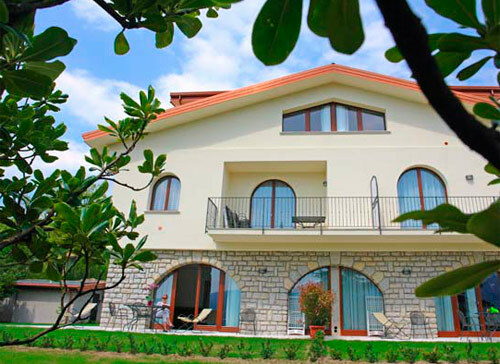 In the ground floor with private garden, in the first floor with balcony and the exclusive attic with nice balcony drawn in the roof of the villa. 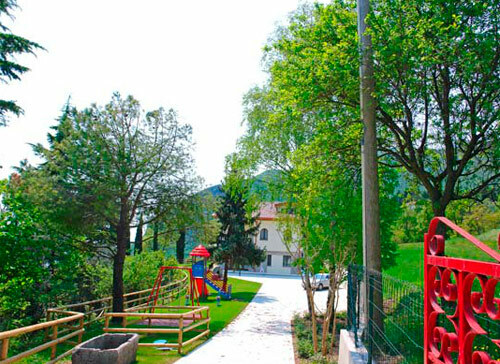 The Villa is surrounded by a very pretty park of about 3.000 mq where You will find moments of absolutely relax and tranquillity. Situated in the hamlet Aer of Tignale.